Recent graduate Gale Martin has been enjoying incredible success for not one, but two recent book releases. 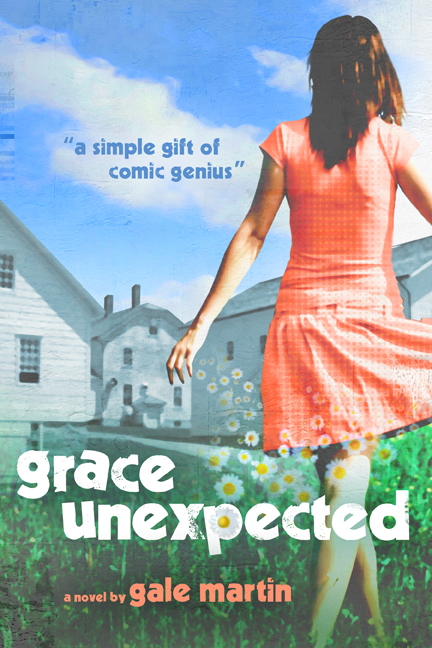 Her debut with Don Juan in Hankey, PA (Booktrope 2011) keeps luring in readers, but it’s her latest book Grace Unexpected that has drawn even more attention, recently rising to #1 on Amazon’s list of Movers and Shakers. As part of a marketing strategy, Grace Unexpected was offered for free Kindle download for a limited three day period. Martin’s publisher aimed for the freebie to attract readers and everything fell into place as planned. “It received loads more visibility,” Martin says. In fact, during those three days not only was Grace Unexpected downloaded more than 38,000 times, the book sold more than 400 copies in the following 36 hours when the book returned to its retail price. 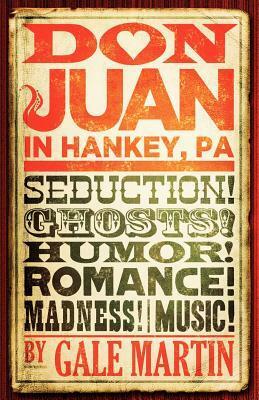 In turn, buyers have been adding Don Juan in Hankey, PA to their online shopping cart as well. Riding high on her past two releases, Martin is already at work on her next book. Wilkes faculty member Kaylie Jones has launched a new imprint with Akashic Books! 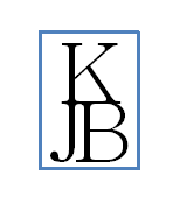 Kaylie Jones Books is a New York based imprint that will create a cooperative of dedicated emerging and established writers who will play an integral part in the publishing process, from reading manuscripts, editing, offering advice, to advertising the upcoming publications. The list of brilliant novels unable to find homes within the mainstream is growing every day. It is our hope to publish books that bravely address serious issues—historical or contemporary—relevant to society today. Just because a book addresses serious topics and may include tragic events does not mean that the narrative cannot be amusing, fast-paced, plot-driven, and lyrical all at once. The first book to be released is Unmentionables, by Laurie Loewenstein. The story takes place on the 1917 Chautauqua circuit, in rural Illinois, on the verge of US involvement in WWI. While the larger topics are race and women’s suffrage, the characters and their courageous stands against oppression and reactionary bigotry could not be more relevant today. Learn more at the Kaylie Jones Books website. Kaylie Jones Books is also on Facebook and Twitter. As I settle into somewhat of a writing comfort zone after completing a creative writing degree, I find myself drawn to a form I never would have anticipated or thought to consider writing—the essay. Admittedly, I wasn’t aware of all the possibilities with regard to essay before I returned to school to pursue an MFA. I’d always thought of essays in the traditional sense of the formula: introduction of an idea, explanation of a claim, statement of facts or opinions to support the claim, conclusion repeating the main points and reinforcing the original claim. We all learned this formula in high school, and none of us could wait for the day we’d never have to use it again. As students, we were always so worried about adhering to the formula that we could not have cared less about the claim itself. And constructing the supporting arguments—well, that just became an exercise in creative deduction. Half of the time, even I didn’t know what I was talking about. I knew how to follow the formula, though, and that earned me a respectable grade more often than it did not. Twenty years later I found myself in front of an audience, reading a passage to practice my oratory as part of the MFA requirement. I had chosen a five-minute excerpt from the previous semester’s nonfiction reading assignment—a piece with which I’d fallen instantly in transformative love—Jo Ann Beard’s The Fourth State of Matter. During my introduction I referred to the work as a story, not only because it featured an obvious beginning, middle, and end comprising the requisite narrative arc, but also because Beard’s piece was lyrical, character-driven, and emotionally hyper-stimulating. It was everything I thought a story should be. Barring a chronic absence of self-confidence, I would have been proud, borderline smug, to have performed my reading, having chosen from such an obviously worthy piece. As it was, I suspected (or rather hoped) the work was sufficiently acclaimed as to make it impossible for anyone, of decent intellect, to fault the choice. The raw terror that clutched my heart during the reading loosened its hold as I returned to my seat. Lowering myself into the folding chair, I noticed a professor in front of me turn to offer what I thought would be words of comfort and/or congratulations at my having successfully read such a riveting piece of work. Still jittery from the public speaking experience, I anticipated the compliment by prematurely smiling as the words thank you formed on my lips. “It’s an essay,” the professor said. Descent halted, my rear end hovered an inch above the aluminum seat. “You called it a story,” he finished, as I forced my now rigid body the rest of the way down into the chair. Perhaps I nodded in agreement, smile still plastered to my face; tongue, having been stopped, in its part, from contributing to the words of thanks, perched lightly behind my two front teeth. By the time my confusion made its way from neurons, through synapses, and on to its facially expressed destination, the professor had already turned toward the front of the room and was actively absorbed in whatever the next student was reading. I’ve grown to welcome these moments of discomfort in my life, but only in hindsight. I’m nowhere near the level of self-actualization it would take for me to recognize opportunity in such moments of extreme humiliation. Little did I know at the time that the comment would send me on an extended exploration of the varying styles, structures, and voices of essays. I soon found myself plowing through works not only by Jo Ann Beard but also by George Orwell, Joan Didion, Virginia Woolf, David Sedaris, Abigail Thomas—there are too many to name. Though I now knew better, I could not stop thinking of these works in terms of story. What constitutes the difference? I obsessively wondered. In their book Creating Nonfiction, Becky Bradway and Doug Hesse point out that narrative is “often the most important” (p. 39) organizational strategy for creative nonfiction and that “very often it (creative nonfiction) reads like a story” (p. 3). “Most creative nonfiction relies, almost inevitably, upon narrative. Narrative is story” (p. 41), Bradway and Hesse go so far as to proclaim, deepening the mystery entirely. If essays rely on story, I considered, why is the label separating the genres so important? Determined to decipher this enigma, I attended the 2011 Association for Writers and Writing Professionals Conference, where I packed in as many sessions on essay as I could reasonably attend. During the panel presentation, “The Essayist in the 21st Century,” Robert Atwan pointed out that most people regard “essay” as “a four-letter word.” The comment struck a note in the recesses of my mind like a mallet hitting a xylophone bar. The moment he said it, I realized, so did I. Apparently, my junior-high-induced essay-equals-boring mental model had relegated essay, as an entire genre, to a dusty shelf in the back of a dark, moldy, subconscious closet where it had lived, neglected and alone, for twenty-some-odd years. Poor essay. When I was twelve years old, I found a cat. More to the fact, a cat found me. She was black with orange spots and a checkerboard face; skinny and shy and at first appearance homely. She hung around the house until my parents were forced to acknowledge her presence in our lives. My first real pet. It didn’t matter that she had to live outside. I named her Gypsy and built her bed out of a cardboard box and a ratty old blanket—the only one my mother was willing to spare. I put the bed under a chair on the back porch where, less than a month later, Gypsy had her kittens. I watched those kittens emerge, and I sat on the porch with Gypsy on my lap as she fed those kittens every day until they went to live in different homes. The night the last of her babies were taken away, I stayed with Gypsy in the kitchen, crying desperately as she howled. The little stray cat that nobody else wanted pulled at my heart. I guess I’ve always been a sucker for the underappreciated. With essays, I have to believe it’s a matter of semantics (and perhaps the same is true for strays). In reality, essays are diverse, entertaining, and rich with poignant potential. In the mental model remnants from early education, essays are formulaic, boring, and emotionally vacant. These are the models that pervade. I suppose, as writers, we could take the easy way out and label narrative essays as true stories. It wouldn’t be deceptive—not by definition that rings true to me—and it might bolster readership, which would be a win for everyone. But I suppose that wouldn’t be the point. Those of us brave or curious or outright lost enough to re-enter the closet where our preconceptions lie might find ourselves dusting off the mental models, washing away the mold, and uncovering a treasure that will, forevermore, pull at our hearts. We will embrace the essays that find us, champion those that do not, and truly hope they all find homes. Work Cited: Bradway, Becky, and Douglas Dean. Hesse. Creating Nonfiction: a Guide and Anthology. Boston, MA: Bedford/St. Martin’s, 2009. Print. Tara Caimi is a freelance writer with a B.A. in journalism and an M.F.A. in creative writing. Her essays, stories, and articles have appeared in journals and magazines including the Writer’s Chronicle, The MacGuffin, Fire & Knives, and Oh Comely magazine. If you plan on attending the annual AWP Conference and Bookfair, taking place in Boston MA, March 6-9, 2013, you’ll find ample Wilkes representation. Also, Jim Warner, alum and former assistant program director, will once again host the All-Collegiate Poetry Slam and Open Mic every night of the Boston conference. For both playwrights and non-playwrights who may want to try their hand at a shorter genre, the ingredients of the ten-minute play will be compared and contrasted to the full-length play and sketch writing. Also, exploration will be given to finding the right size of a story and cast, as well as to the art of economy, how it looks on paper, and the production and publishing opportunities that could follow. Statistics suggest a gap still exits but is there a problem and if there is, what is its nature? What changes/ remedies/ metamorphoses can/ should be imagined? Do you think about this issue differently in terms of your writing vs. in terms of your career? Accomplished writers, who happen to be women, theorize and report out of their own experiences and analysis of the current literary scene. Authors read from what Dinty W. Moore describes as an astonishing array of gifted writers who explore intimacy, doubt, love, joy, and sorrow to form this exhilarating anthology. Edited by Jill McCabe Johnson, Becoming: What Makes a Woman (University of Nebraska Gender Programs, 2012) features essays of pivotal life experience. 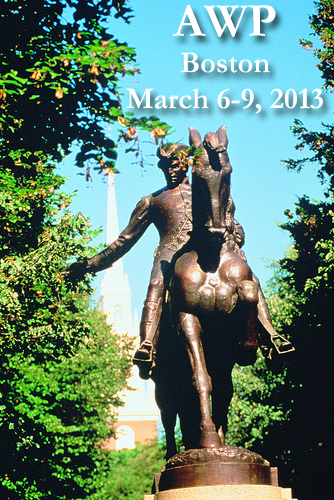 For more information about AWP and the conference schedule, visit www.awpwriter.org. And, don’t forget to stop by Wilkes/ Etruscan Press booth in the Bookfair!